LOS ANGELES â Aug. 29, 2014 â Northrop Grumman (NYSE:NOC) recently hosted the 2014 United Arab Emirates (UAE) Innovation Challenge champions, from the Higher Colleges of Technology's (HCT) Fujairah Colleges, in Southern California. The weeklong trip took the coed team, named Fujairah Dynamic, on an extensive tour of the region's science, technology, engineering and math (STEM) facilities. 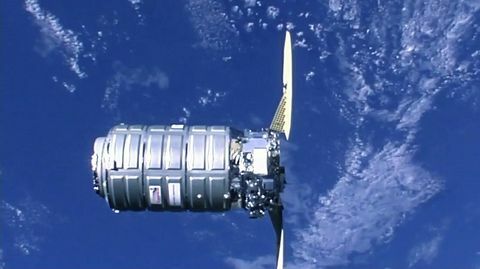 The tour is part of Northrop Grumman's efforts to encourage STEM education across the globe. During their visit, the group visited Northrop Grumman facilities in Redondo Beach, San Diego and Palmdale, learning about the development and production of several systems, including the Global Hawk unmanned aircraft and the James Webb Space Telescope. They also toured the University of California, Los Angeles and the University of California, San Diego, where they learned about the universities' specialized robotics programs. "One year ago, we were not thinking that we'd be here," said Mariam Al Meraikhi, team leader for Fujairah Dynamic. "It's an unexpected gift." 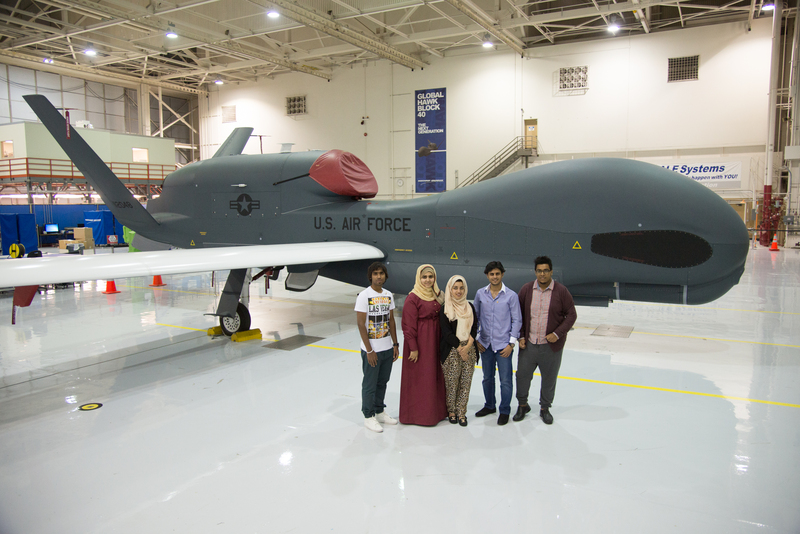 Al Meraikhi added that seeing Northrop Grumman's unmanned aircraft systems in person was "amazing," and a source of inspiration for formulating senior project ideas. Fujairah Dynamic beat 13 other teams to win the annual competition, which pairs Northrop Grumman engineering mentors with students from the UAE's Higher Colleges of Technology to design, build and fly unmanned aircraft. 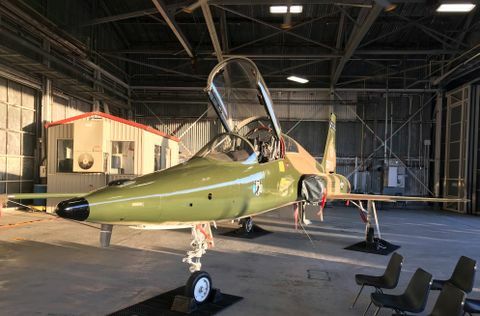 The program culminates in a weeklong "challenge" where the teams are evaluated on oral presentations and flight demonstrations related to speed, endurance and navigational precision. 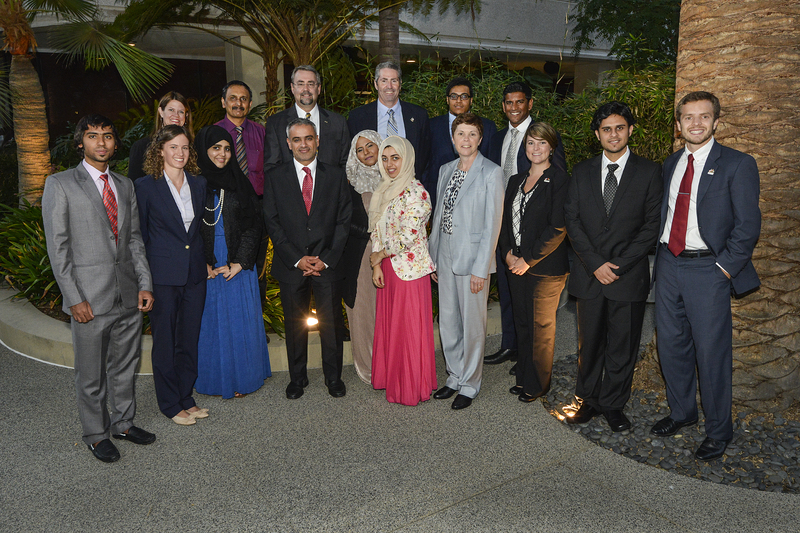 Earlier in the week, the group met with the Los Angeles-based UAE Consul General, Mr. Abdulla Al-Saboosi. As head of the newly established consulate, Al-Saboosi expressed his interest in the continued partnership between HCT and Northrop Grumman. "The UAE Innovation Challenge demonstrates the power of partnerships between UAE and U.S. organizations," he said. 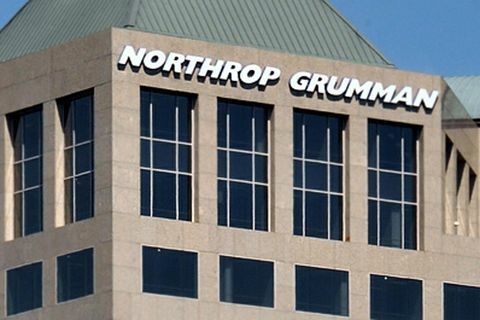 "Through this unique collaboration with Northrop Grumman, Emirati students are able to enhance their skills and knowledge, and become better prepared to embark on their careers." The fifth annual UAE Innovation Challenge will kick off at the end of this year, when mentors and students team up to start designing aircraft. The actual competition, expected to have the largest group of participants yet, is currently scheduled for April 2015 in Abu Dhabi.